2013 Masters Fantasy League: Over $500 in cash and prizes donated by Chicago Style Golf! Pick a team of six golfers. Their dollar winnings are totaled. The highest total dollar amount wins. There are some restrictions: you may only choose up to two players out of the top ten players in the world golf rankings on 4/8/2013 and you may only have up to three major champions on your team. Chicago Style Golf is going to give out over $500 in cash and prizes for this Masters Fantasy League. First place will be $250 in cash and $100 in Gift Certificates for the golf shop. Second will be $100 in cash and $50 in Golf Gift Certificates for the Golf Shop. There will also be a $50 prize for the golfer who comes in last in our fantasy league. During the Masters Tournament your selected players earn dollars equivalent to their actual tournament winnings, which are added together for your team’s total. Totals are according to the official money earned during the 2013 Masters tournament. In case two or more entrants have entered the same team and/or are tied at the end of the tournament, the tiebreaker is the entrant with the closest guess to the total winning score. For example 288 is par golf at Augusta National for four rounds of golf, if you think the winner will be 18 under par put down 270 as the winning score. FREE. All you have to do is fill out the form below. Pick six players in the 2013 Masters field. You may choose up to two out of the world top ten (official world golf rankings) and you may only have up to three major champions on your team. Picks must be in by 7am Thursday morning. 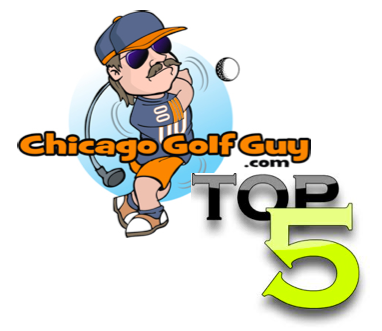 By signing up for the FREE Masters League you agree to receive emails from Chicago Style Golf. You can always opt out later. OR fill out the form below to make your picks. Please click here to go to the official website of the masters and the list of 2013 participants. THE MASTERS FANTASY LEAGUE IS IN PROGRESS. GOOD LUCK! Next Masters Odds~ Who has the best chance of winning?